Some battlefields, like Gettysburg or Fort Fisher, I visit on a regular or at least annual schedule. Murfreesboro is not one of them. My first visit came in 1993 or 1994. A second visit came in October 2012. I stopped for the purpose of photographing the different spots that are associated with North Carolina regiments. There were three of them involved in the battle: the 29th NCT, 39th NCT, and 60th NCT. In the heat of the fire, Private David Patton, of the "Buncombe Life Guards," was killed by a shell which took his head off, and it [his head] lodged in the fork of a small tree. While the regiment was in camp at Versailles, Ky., the Colonel of the Twenty-ninth got his meals at the house of Colonel Cotton, of the Sixth Kentucky (US). Mrs. Cotton was very bright and said she would make her colonel shoot ours if they met. Our colonel said: "We will shoot high on your account," but sadly enough, he was killed in front of our lines on the field of Murfreesboro or Stone's river. After the fire had slackened on 31 December, 1862, our men saw a Federal Lieutenant-Colonel between the lines, seemingly fearfully wounded. At the risk of their lives our people formed a squad and went after him. The balls fell around them, but not one was struck. 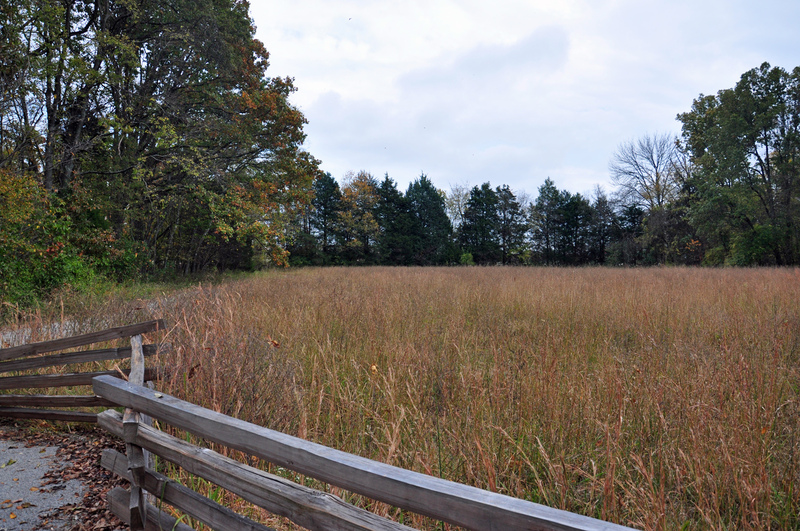 I took this photo, over ground where the 29th NCT charged on December 31, 1862, in October 2012. 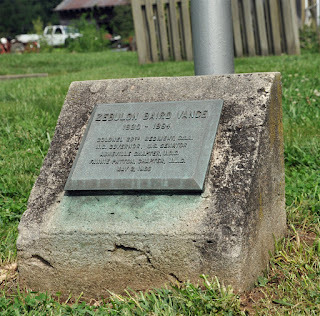 There are many monuments to Zebulon Baird Vance, North Carolina's War-time governor. The large one in Pack Square (which our friends in the 26th NCT Reactivated are raising funds to restore); a more modest one in Charlotte, where Vance lived after the war; the nice one on the grounds of the state-capital in Raleigh; and in Statuary Hall in Washington, D.C. But the one we are going to discuss briefly today is very small, and up until about a month ago, I did not know it even existed. RALEIGH – Determination, commitment and pride are among many characteristics of North Carolinians depicted in the “Freedom, Sacrifice, Memory: Civil War Sesquicentennial Photography Exhibit” (www.nccivilwar150.com).The exhibit commemorates the state’s role in the Civil War (1861-1865), a defining period in United States history. It will be shown at the Warren County Memorial Library in Warrenton Nov. 1-28. Images gathered from the State Archives (www.archives.ncdcr.gov), the N.C. Museum of History (www.ncmuseumofhistory.org), and State Historic Sites (www.nchistoricsites.org) will illustrate valiant members of the Confederacy, African Americans fighting for freedom, and daring women dedicated to their homes. A total of 24 images will be exhibited by the N.C. Department of Cultural Resources (www.ncdcr.gov) in 50 libraries throughout the state from April 2011 to spring 2013. A notebook will accompany the exhibit with further information and seeking viewer comments. For information on the Warren County exhibit, call (252) 257-4990. 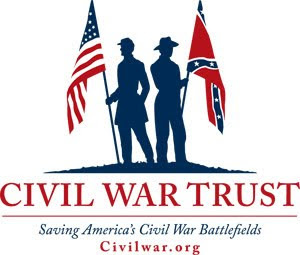 For information on the tour, visitwww.nccivilwar150.com or call (919) 807-7389. 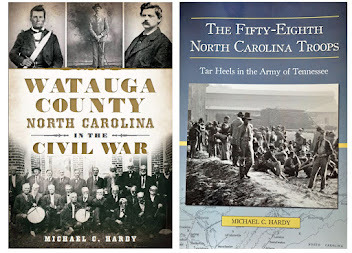 A couple of weeks ago, "Bert" posted a review on Amazon.com of my book Civil War Charlotte. While "Bert" meant the review as a rebuke, it was actually a compliment, and I would like to explain why. First, he describes the book as "Incomplete." Well, every history book that has ever been written is incomplete. If they were not, we would not have 60,000+ books on the War, which includes 14,000+ books on Lincoln alone. I'm not sure why or how you could write another about Lincoln (or want to), but that is another post. The reason that they are incomplete is that there are so many research gaps. I want to know more about the naval yard in Charlotte, but that information appears to have gone up in flames at the end of the war. Second, "Bert" wrote that Civil War Charlotte is "a noble effort, however incomplete and lacking details of the great spirit of our people." That is not actually an exact quote. "Bert" used all caps, which is very rude, and his sentence construction and style leave much to be desired. But, the gist of what he is saying is that since I did not laud the people of Charlotte for what they did during the war, the book is not all it should be. Wow! Thanks! It was not my intent to write a history of a noble group of people fighting for a cause which remains lost. It was my intent to write an unbiased history of a place and a War. Many people will be familiar with the statement by D. H. Hill after the War that is considered the charge of the SCV. Hill said that it is our responsibility as Southerners to "see that the true history of the South is presented to future generations." That was my aim: to write a true history, one unstained by bias that seems to run rampant through the historical literature of the day. I wanted to be fair. Could I have talked more about the "great spirit" of the people of Charlotte? Maybe. The story of Mrs. Col. Charles C. Lee, who continued to work at the way-side hospital in Charlotte after the death of her husband in June 1862 is a picture of that noble people. Of course, I would need to be fair, you know, that "true history thing," and have written more about Lewis Bates, with whom Jefferson Davis stayed while in Charlotte in April 1865. Bates later testified (in a highly questionable statement) that Davis was excited and rejoiced over the news of the assassination of Abraham Lincoln. I don't think that Bates would fit into "Bert's" ideals of a noble people. Several of you have paid me great compliments in the past, saying that my writing was "clean." That's what I aim for: presenting history in such a fashion that anyone can read it, and that preserves the true history of the South for future generations, not some "noble" or gilded idea of what that history should be. 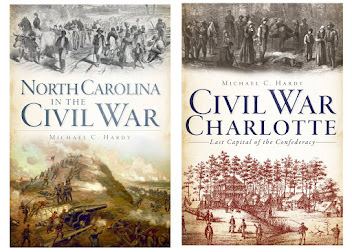 By the way, if you like Civil War Charlotte, or any other of the fifteen books that I have written, please consider crafting your own review and posting it on Amazon. After all, we'd like to see more reviews from thoughtful folks like you so that it doesn't look like everyone who read about the war is as misguided as poor "Bert." Folks - I'll be out and about the rest of the month. If you are close by to any of these, stop and say hi! 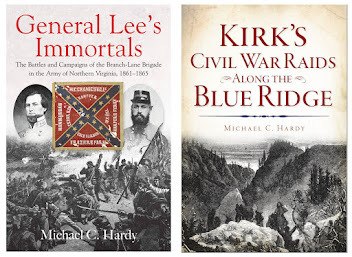 October 23, Avery County and the Civil War discussion, Avery-Morrison Public Library, Newland. 6:30 pm. October 25, Rotary, Trinity Episcopal Church, Spruce Pine, 12:00. 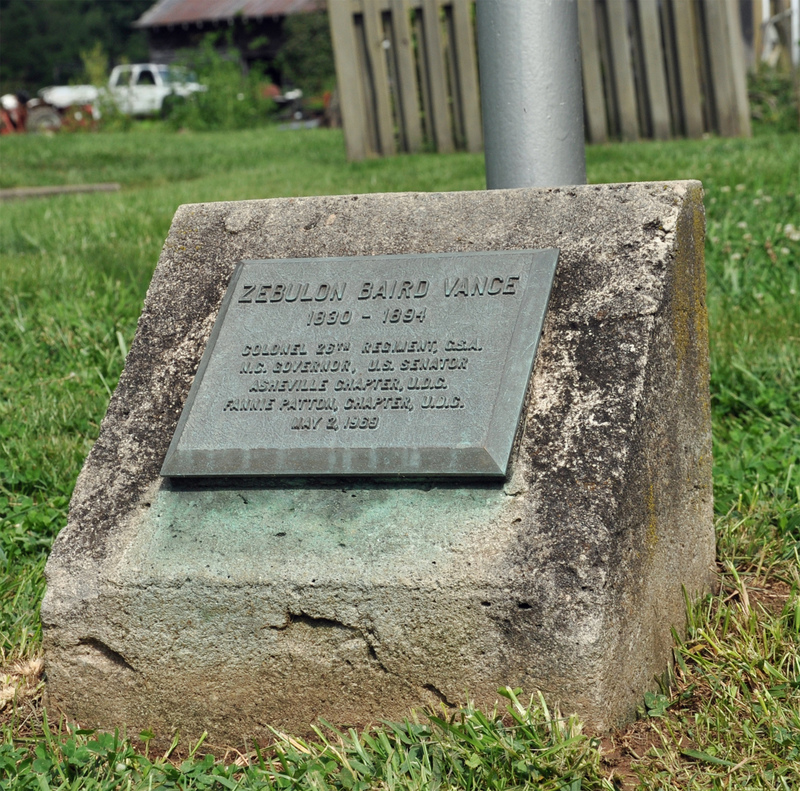 October 26, Zeb Vance Camp, SCV, Asheville. 7:00 pm. October 27, Heritage Festival, Meeman-Shelby Forest State Park, Millington, TN. All day. 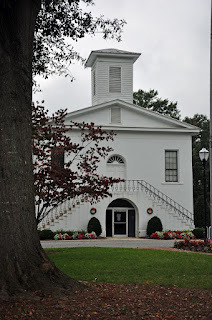 October 30, Matthews Historical Society, Matthews, NC, 7:00 pm. Lots of exciting things going on this weekend. 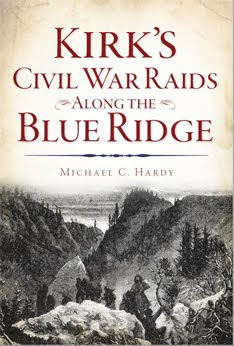 On Saturday, October 20, I'll be participating in a Civil War living history at the Mineral Museum in Spruce Pine. This is right off the Blue Ridge Parkway (Mile Marker 331). The event will run from 10:00 until 4:00. You need to come and bring your family! It's free! On Sunday, October 21, 2012, I'll be speaking and signing books at Charlotte-Mecklenburg Public Library (downtown branch). Once again, everyone is invited and this event is free! We'll get started at 2:00 pm. This past weekend, I was in Gettysburg, and I found a good deal on a used drum for living history/reenacting programs. I had a drum when I was younger, and have always regretted selling it. I have a young man here in my household who will make a good drummer boy. But that leads to this question: were the drummers really boys? I thought I would look at the field music of three different regiments and see what could find. The three regiments that I chose, all infantry, were the 16th, 18th, and 58th. I went through and looked for men listed as musicians. We will start with the 16th. There were 24 men listed as musicians. Eleven of these men served in a regimental band, Only one is listed as a fifer, and I suppose (but no proof) that the others might have played other wind instruments. Out of the 24, we have the ages of 19. Their average age was 23 years, by no means, boys. The youngest was 18, and the oldest, 35. Next, I turned my attention to the 18th regiment. I found 11 who were listed as musicians. Nine were listed as drummers. Interestingly, there were several boys who enlisted who were later discharged. Their ages were 16, 12, 14, and 15. The oldest was 32. So in the 18th Regiment, there were some boys who, for about a year, served as drummers. Finally, I looked at the 58th NCT. In this regiment, I found twelve men who served as musicians. Six were listed as drummers, three as fifers, and three just as musicians. The youngest was 17 years old, and the oldest was 32. Of the 11 who had their ages listed, they averaged 23 years of age. Being a musician was not always a safe position. Of the 47 boys and men I surveyed, one was listed as killed in action, three wounded, of which two died, and three who died of disease. I wonder what kind of numbers we would have if we surveyed all of the North Carolina regiments? The photo is of Calvin Miller, 37th NCT. There are a small number of graves in the Confederate section of Elmwood Cemetery in Columbia, South Carolina, identified as being those of Tar Heel soldiers. One of those belongs to Pvt. Michael B. Herring, Company B, 50th North Carolina Troops. 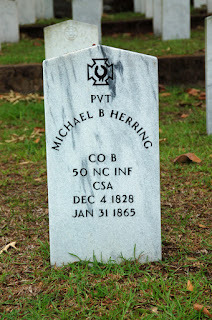 According to the NC Troop books (Volume 12) and his Compiled Service Record, Herring was born in Robeson County and was a blacksmith before he enlisted at the age of 34 on February 28, 1862. Around July 1, 1862, he was reported sick in the hospital in Raleigh, but later rejoined his command. In December 1862 he was reported on detailed duty as a carpenter, but appears to be back with his company from September 1863 through February 1864. Herring died of disease at a hospital in Columbia, South Carolina, on January 31, 1865. I took this image in May 2009. RALEIGH – The Civil War savaged lives yet secured the future of generations in North Carolina and the rest of the nation, and altered the course of American history. The injustices faced by African Americans were some of the most significant factors leading to the American Civil War (1861-1865). The fight for liberation is just one of many moving features of the “Freedom, Sacrifice, Memory: Civil War Sesquicentennial Photography Exhibit”(www.nccivilwar150.com) which is visiting the Charlotte-Mecklenburg Library from Oct. 2-29 and the Northampton County Memorial Library in Jackson Oct. 1-26. The Civil War was the first war widely covered with photography. The “Freedom, Sacrifice, Memory” exhibit provides images of historic figures, artifacts, and documents that brought the reality of the war from the battlefront to the home front, then and now. 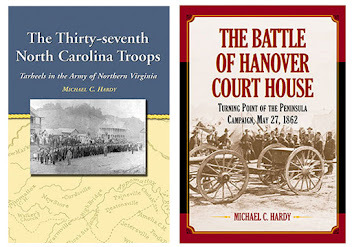 The exhibit will commemorate the bravery and resiliency of North Carolinians throughout the Civil War with stimulating images gathered from the State Archives (www.archives.ncdcr.gov), the N.C. Museum of History (www.ncmuseumofhistory.org), and State Historic Sites(www.nchistoricsites.org). 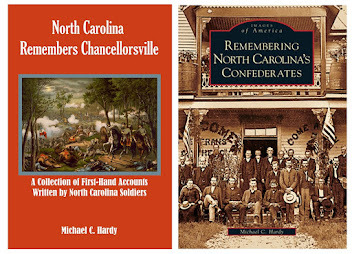 A total of 24 images will be displayed by the N.C. Department of Cultural Resources (www.ncdcr.gov) in 50 libraries and four museums throughout the state from April 2011 through May 2013. A notebook will accompany the exhibit with further information and also seeking viewer comments. The collection depicts African Americans, women and militiamen, including images of artifacts and official documents. One image is a political cartoon fromHarper’s Weekly magazine questioning the impact of President Abraham Lincoln’s Emancipation Proclamation, and pointing to continued suffering of African Americans. 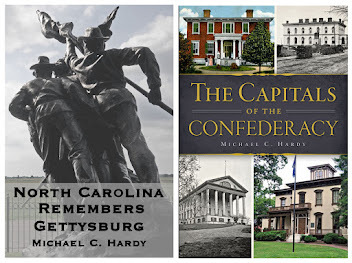 The statewide tour will present various aspects of North Carolinians in the Civil War and educate viewers of each area’s participation and commitment during this tumultuous time. For information on the commemorative tour call Cultural Resources at (919) 807-7389. For information on the exhibit call the Mecklenburg library at (704) 461-0152 or the Northampton library at (252) 524-2571. The N.C. Department of Cultural Resources annually serves more than 19 million people through its 27 historical sites, seven history museums, two art museums, the nation’s first state-supported Symphony Orchestra, the State Library, the N.C. Arts Council, and the State Archives. Cultural Resources champions North Carolina’s creative industry, which employs nearly 300,000 North Carolinians and contributes more than $41 billion to the state’s economy. To learn more, visit www.ncculture.com. 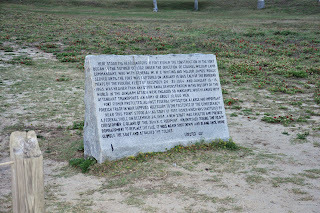 Instead of me trying to retell the story, I'll just let the marker at Fort Fisher do that. This image was taken in July 2011. Here stood the Headquarters of Fort Fisher. The construction of the fort began in the summer of 1862 under the direction of Colonel William Lamb Commandant, who with General W.H.C. Whiting and Major James Reilly served until the fort was captured on January 15, 1865. Each of the bombardments by the Federal fleet of December 24-25, 1864, and January 13-15, 1865, was heavier than any other naval demonstration in the history of the world. In the January attack were engaged 58 warships, which landed with attendant transports an army of about 10,000 men. Fort Fisher protected, against Federal opposition, a large and important foreign trade in war supplies necessary to the existence of the Confederacy. Near this point stood a flag staff of Fort Fisher which was shattered by a Federal shell on December 24, 1864. 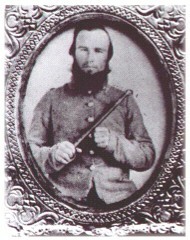 A new staff was erected and Private Christopher C. Bland, of the 36th N.C. Regiment, volunteered during the heavy bombardment to replace the flag. It was again shot down, and Bland once more climbed the staff and attached the colors. 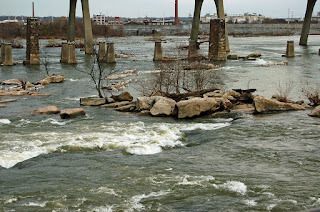 Mayo's Bridge, across the James River on the south side of Richmond, Virginia, first opened in 1788. 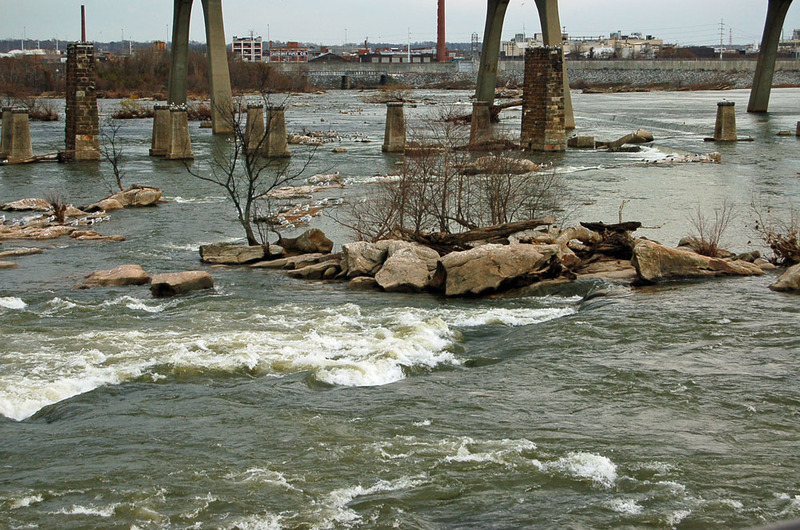 Numerous Confederate soldiers from North Carolina would have crossed the bridge, or other such bridges (including pontoon bridges) during the War. The bridge, the supports of which you can see in this photograph, was destroyed in April 1865 after the last Confederate soldiers passed over from the area of Petersburg. I took this image in December 2006. Looking for NC's Civil War: Gaston County Courthouse. 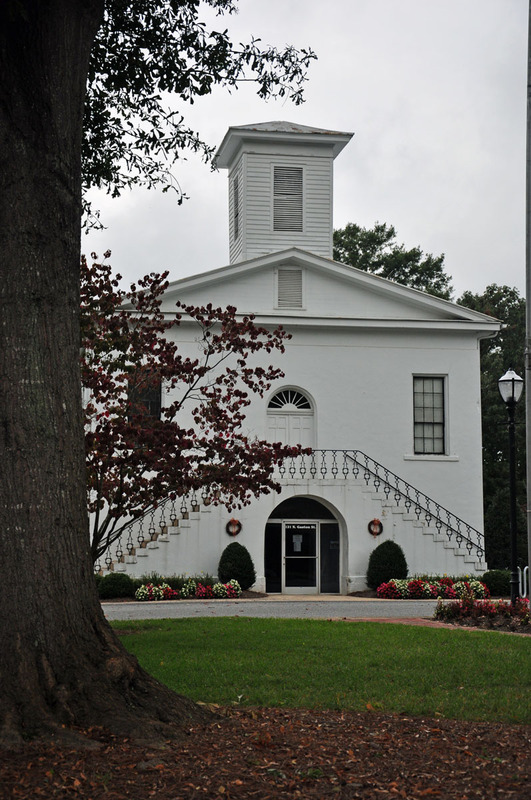 Built in 1848/9, the Gaston County Courthouse in Dallas served the people of Gaston County until 1911 when the county seat was moved to Gastonia. Confederate soldiers mustered in and around the courthouse during the war, and then headed to Brevard Station (now Stanley) to board the train. In April 1865, Federal cavalrymen, members of George Stoneman's force, arrived in the area. They skirmished with elements of Vaughn's Confederate cavalry in the area on April 17, 1865. On April 18, portions of the 12th Ohio Cavalry camped nearby, setting out to capture the bridge over the Catawba River at Nation's Ford. There were Federals in and around Dallas for at least the next week. This photo was taken in September 2012. What was wrong with the 18th? A couple of weeks ago, I was doing some research and came across this account of a Federal POW jumping a train as it traveled from Danville to Charlotte. He left this description of part of his adventures. A small part of the 18th North Carolina came from Wilkes County, where the POW was passing through. So, what was wrong with the 18th? "...Gorham approaches the door and raps. The door was opened by a lady about forty years of age. 'What will you have sir?' she says. 'Madam, I am hungry, I wish to procure some food, can I do it here?' 'I have nothing for you,' she replies, as she partly closes the door. "Seeing he was inclined to urge his request no further and was about to leave, she says 'You belong to the 18th don't you?' 'No,' he says, 'I am an escaped Yankee prisoner.' From the nature of her question and its inflection he saw that the 18th she referred to must be the 18th North Carolina, and that she had little sympathy with them, so he concluded to argue the case on its merits at one. 'Is that so?' she says 'God bless you, come in here.' from Francis J. Hosmer, Andersonville and Other Writings (1896), page 5.